The Church doesn't pay particular attention to any apparitions until they are studied, confirmed and accepted by the local bishops. Even though they may be authenticated, the messages remain as private revelation. Catholics are free to accept them, since they are in harmony with the teachings of the Church but everythings has been revealed in the Holy Scriptures and we must listen to the Church firstly. 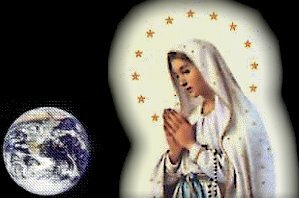 Marian Apparitions have the effect of helping the faithful to come closer to Jesus through the help of Our Lady. In 1984 Joseph Cardinal Ratzinger, the head of the Roman Catholic Church's Congregation for the Doctrine of the Faith (CDF), declared that, "one of the signs of our times is that the announcements of 'Marian Apparitions' are multiplying all over the world. Besides Marian apparitions, there are signs unique to the times in which we are living in, such as Eucharistic Miracles and the manifestation of the charisms of the Holy Spirit. There are many privileged souls who are receiving the gifts of healing, word of knowledge, prophecy, interior locutions and many others as signs of the Presence of Christ among the faithful. It is very important to become familiar with the Gospels in order to ascertain the reason for these mystical occurrences and we must pray to the Holy Spirit for discernment.